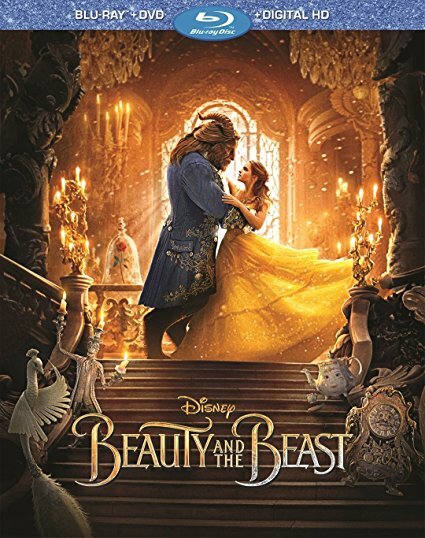 I liked the animated Beauty and the Beast from back in the 90's and I liked Disney's live-action remake of The Jungle Book so I was looking forward to seeing how this live-action remake of Beauty and the Beast turned out. Thankfully, it turned out pretty well. The basic story goes that a witch curses a prince and his staff so that he turns into a beast and they turn into objects found around the castle, except that they can still talk and move and stuff. Then years later a girl finds her way to the castle, is captured by the beast, the two fall in love and the curse breaks. This is the same overall story as the animated version, but this version gives a little more depth to it. The reason for the prince being transformed into a beast along with the people in the castle being transformed makes more sense. And the prince is more fleshed out so that when Belle falls in love with him it doesn't seem like Stockholm syndrome as much, since we know they actually do have stuff in common. I loved Gosh Gad as LeFou, Gaston's sidekick. He was hilarious and was easily my favorite character in the whole movie. Emma Watson seemed perfectly cast as Belle, a normal girl who loves to read books and wants nothing more than to know more about the world. I also liked the interaction between the side characters such as Lumiere, Cogsworth, Mrs. Potts, and Chip. The brought a nice comic release just like they did in the original and the CG animation looked great. While the movie is very similar to the original animated version, I think there are enough differences to let it stand on it's own. I wouldn't say it was a major improvement over the animated version like The Jungle Book was, just different. Enchanted Table Read - You're invited to join the cast for the movie's elaborately staged table read, complete with singing and dancing to live music, set pieces and more! A beauty of a Tale - Explore the process of transforming a beloved animated film into a new live-action classic. The Women Behind Beauty and the Beast - Emma Watson introduces several of the many talented women in all aspects of production who helped bring this enchanted tale to life. From Song to Screen: Making the Musical Sequences - Discover what goes into creating some of Beauty and the Beast's best-known moments. Extended Song: "Days in the Sun" - Learn more about Beast's childhood in an alternate version of this beautiful song.